Wealth inequality in the U.S. has been in the headlines a lot lately, and it’s only going to dot the news landscape more and more heading into the 2020 elections, particularly among the two dozen or so Democratic hopefuls. Forbes contributor Jesse Colombo put a recent article together that notes one statistic in particular shows America’s wealth inequality is back to Roaring ’20s: U.S. wealth concentration. In 1929, before the stock market bottomed out, leading to the Great Depression, the top 0.1% richest adults’ share of total household wealth was close to 25%. And while Democratic politicians, left-leaning commentators and even billionaire hedge fund managers like Ray Dalio have been quick to blame capitalism for the wealth disparity, Colombo seeks to set the record straight by placing blame where he says it belongs: The Federal Reserve. 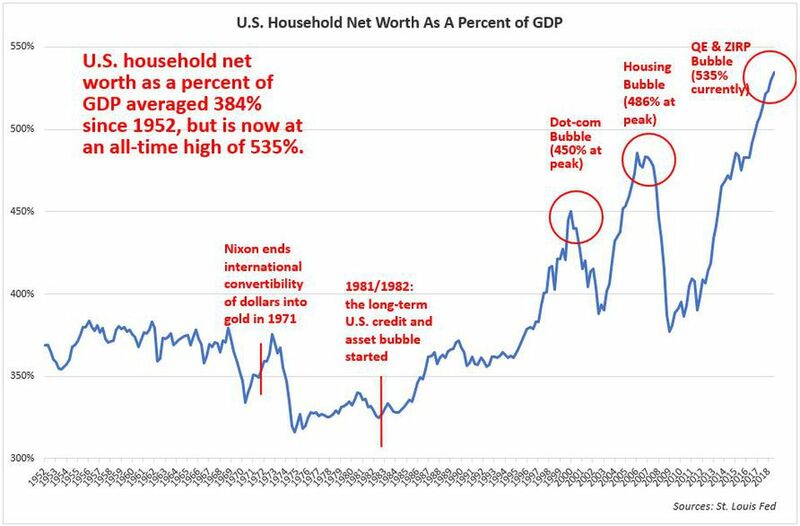 U.S. household wealth recently hit a record of 535% of the GDP, while the historic average since 1952 is 384%. 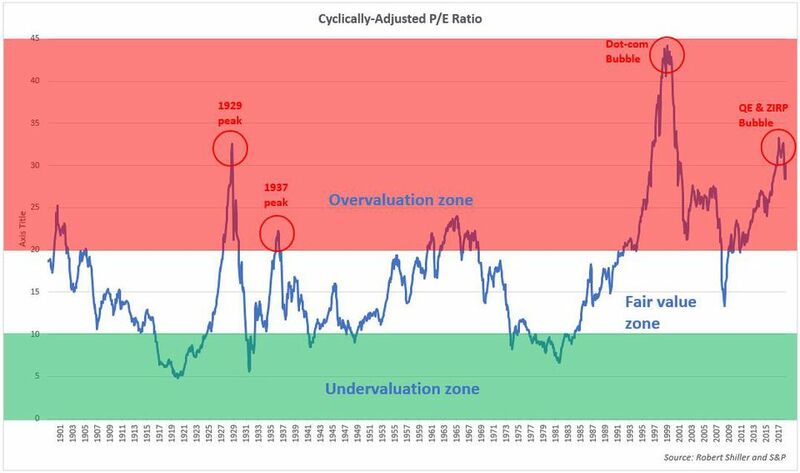 As I’ve explained in my report, when U.S. household wealth reaches an extreme relative to the underlying economy or GDP (as it did in the prior two bubbles), a mean-reversion or a correction is in the cards. The most recent household wealth bubble has benefited the rich over the middle class and the poor because the rich own a disproportionate amount of assets such as stocks and bonds, which have been inflated by the Fed since the Great Recession. To summarize, America’s growing wealth inequality is not the fault of capitalism, but of central bank market intervention, which goes against the very principles of capitalism. What is lost on left-leaning economists and politicians is the fact that America’s wealth inequality is not a permanent situation, but a temporary one because the asset bubbles behind the wealth bubble are going to burst and cause a severe economic crisis. My belief is that we should be more preoccupied by these asset bubbles instead of the temporary inequality created by them. Instituting socialism, much higher marginal tax rates, and wealth redistribution are not the answer because they ignore the actual cause of the problem. The answer to growing inequality is to strike at the root by working to defuse the dangerous asset bubbles, by reining in or shutting down the Fed, and by shoring up the integrity of the U.S. dollar again by backing it with gold so that it can’t be recklessly debased.